There is a belief that everything has a True Name, a name that is different than the one it is traditionally known by. This true name, typically kept secret, is believed to be the key to holding power over the named, a theory in many forms of magic and psychic practice that lead some to seek to hide their true name and drives others on a quest to discover it in order to fully realise the power of names. Whether or not a person believes in psychic ability or magic, there is no doubting the power of names. From a linguistic stand point without naming there would be no way to effectively communicate with other people; a tree is not a tree unless someone named it a tree - otherwise it is a tall leafy object that has to be seen or described to be understood. It is from this basic idea of naming that the more extreme power of true names has come. In some ways it can be said that to know the true name of something is to truly understand its nature - that, too, is a form of power. To understand a person's nature is to know how to deal with them, even manipulate them to a degree. In some magic and psychic circles to know a person's name is to have a Voodoo Doll like power over them; with the connection of the name a person can focus and target psychic or magic energy towards the person. In many societies down through the ages - and in a smaller way today - certain populations choose their own true name, typically as part of a naming ceremony. 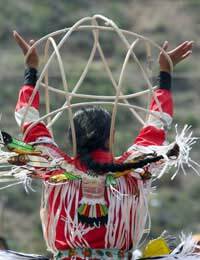 Certain indigenous cultures to North America chose their name when they matured and were inspired by a vision quest or through meditation. Their name thus chosen was said to more accurately reflect who they were than a name chosen when they were born. The concept of the power of names has been around in media for a long time; fantasy books and movies have shown what happens when invoking a spirit or otherworldly entity by its name. A currently popular anime, or Japanese cartoon, that uses the power of names is Death Note, where the villain of the story has the ability to end a person's life if he sees their face and then writes their name down in a mystic notebook. In the popular fantasy novels of Ursula K. Le Guin titled "EarthSea" knowing the name of a thing gave one the ultimate power over it. When faced with a dragon the wizard in the story dominated it simply by saying its true name. Invoking is the process of naming a thing in such a way to get its attention, or to get attention by using the name. This can be done in a very real way that has nothing to do with magic or psychic ability as it is commonly understood or imagined. The next time you are in a conversation with a person and want to underscore a particular point, start the sentence off with invoking their name; watch their eyes suddenly focus as they become more alert and seek to understand why you have named them.